Being a ‘small business’ owner can be difficult. We don’t get the handouts that large corporations do. It’s almost a uphill battle at times. We pinch pennies and try to be innovative with our time. Does this sound like you? 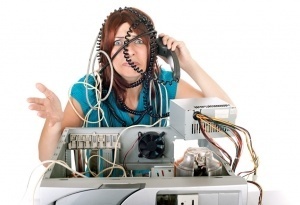 Maybe things are going well for your business, but you’re crazy busy! The last thing you need to be worrying about right now is about Microsoft no longer supporting Windows XP after April 8th. You also don’t need some salesman trying to push the latest and ‘greatest’ Windows and services at you and your company. I’ve mentioned two things you don’t need; so I suppose the question that would naturally need to be answered would be, what do you need? What you need is someone to help you understand what April 8th means to you. I want to help you keep your business running as smooth as possible after Microsoft pulls the plug. I want you protected from things going so horribly wrong at all the right times. You ready? Let’s get to it. You will be more vulnerable to virus infections, hackers, & digital theft: Microsoft will no longer be creating new security patches for Windows XP. This means that as hackers find more security holes and vulnerabilities in XP.. those holes will be left WIDE OPEN for them to attack your computer. If someone does hack your computer through this lack of security, they could access financial data on your systems. If you’re using Microsoft Security Essentials (MSE) for your antivirus you’re out of luck: Not only is Microsoft pulling the plug on Windows XP; they will also be eventually phasing out MSE updates for XP. This means you will be forced to start using other antivirus programs that commonly slow down your computer. We have a useful list of antivirus programs you might want to look into using. Your computer just isn’t as efficient as it could be, which means neither are you: Windows XP was created 13 years ago and was a great operating system for both home and business use. Windows XP was stable and efficient. Have you noticed over the years as the office, financial, and special programs you run every day seem to be running slower and taking longer to load? Unfortunately it’s only going to get worse because software manufactures now can easily say that “don’t support Windows XP” as well. I’m not trying to scare you. Quite the opposite. I’m trying to help educate you on the steps to cost effectively getting your business ready for this year. 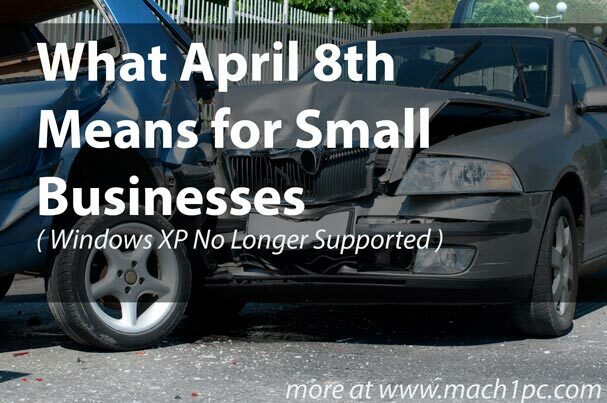 April 8th and Windows XP support ending doesn’t have to be scary. Why buying computers from the “big box store” isn’t a good idea. Your proprietary software and version of financial software might not be Windows 8 compatible. When it comes to installing your software and networking your computers together, will they be there to help? Your business needs quality hardware to support the long hard hours you clock in every week. Unfortunately big box store computers are built cheaper to sell cheaper. As the old saying goes.. you get what you pay for. I want to help you get your business ready for April 8th. I actually mean that WE want to help you -and by WE I mean Mach1 PC. As you already know, we have been supporting Shelby County and surrounding counties since 1998. We are here to support you and help your business grow. Not sure where to begin? You could give us a call or even a quick email using the form below -and we’ll call you! We are here to patiently listen to your needs and suggest how to move forward. We appreciate that your time is valuable. Since you took the time to read this entire article, make sure you ask us about the SPECIAL DISCOUNT we have available for you. P.S. You don’t want to wait till the last minute. If you’re serious about protecting your business and making it more efficient use the form below to contact us. You can also call us at 317-398-3572. 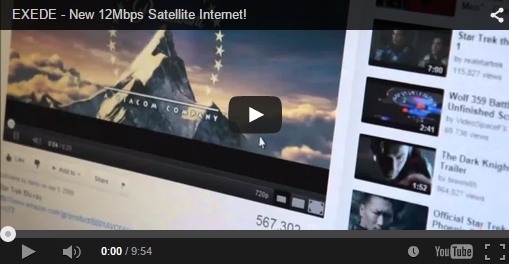 Exede Satellite Review: What you need to know before buying..
Exede reviews: Before doing ANYTHING, I encourage you to watch the video below on how Exede satellite internet works. If you are looking at getting signed up for Exede satellite internet, you need to do your homework first.. Before writing this article, I did a Google search for “Exede internet review” to see what others were saying. Like you probably have, I read tons of reviews about this product – both good reviews and not so good reviews. The bad reviews I read were unfortunate because many of the issues came from people who ordered it not fully understanding the product before signing up. My goal is to educate you on the good and bad about Exede satellite internet service – just as I would want if I were in the market to buy. Before getting into my Exede satellite review; let’s take a look at one of the worst “reviews” that I found online – one that goes as far as making fun of the company. Out of respect for the people who wrote the review, I have omitted the customer name. This is actually a really REALLY good thing! Think about it for a moment from a technical point-of-view. Exede wants their customers to get the speed that they are paying for – and more importantly customers deserve to get the speeds they are paying for. Exede spent an estimated 400 million dollars on the new satellite they launched in 2011. That specific satellite can only hold a specific amount of customers at any given time. If they oversell that satellite, EVERYONE on it gets slower than advertised speeds – that would be very bad! I believe it speaks a lot as far as Exede’s values by not overselling their product. I believe they are planning on launching a new satellite to support more customers once this one fills up. Will my internet go out when it rains or snows? Does the dish have to be mounted on my roof? 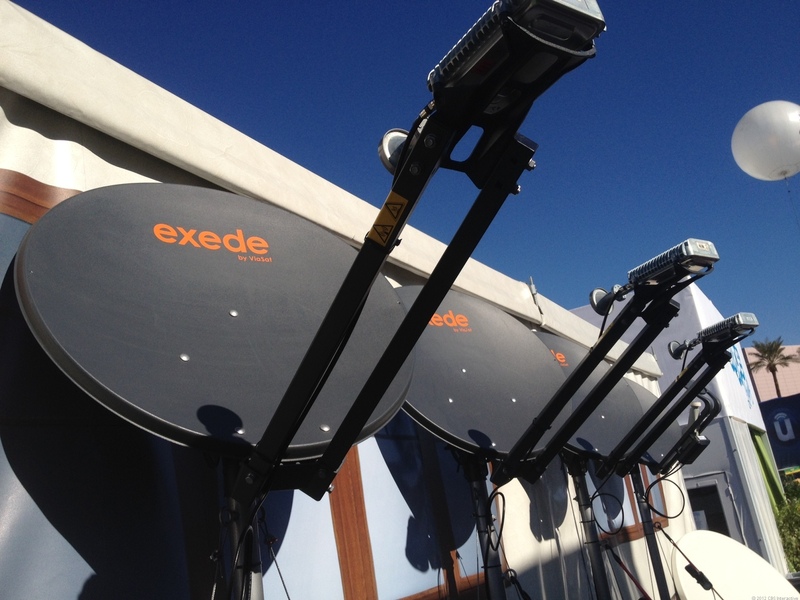 Does Exede satellite internet actually work? One of your primary concerns about signing up for Exede satellite internet will probably be, “Will my internet go out because of weather?“. You know you can trust our word, and the answer is.. sometimes. Thinking back over the 20+ customers we have signed up for Exede over the past two years, nearly all of them had good experiences in bad weather. There will always be an exception; but the problem isn’t normally because of the weather. The most common cause of service loss is when the dish has been shifted – may that be because of heavy winds or snow sitting on the dish. In these cases, the dish would need to be re-aligned by a certified technician to continue getting good service and speeds. We understand that you may not want to have a dish mounted on your roof – and that’s understandable. Although the best location for the certified installer to set up the dish is on the roof, you may ask them to install it on a pole in the yard instead. We don’t typically suggest doing so because the dish needs a good line of sight to the sky and having it mounted higher is always better – but you do have that option. Going with that question, there may be additional fees that go along with mounting on a pole instead because of the extra hardware required. The most important question that should be asked before signing up for any company ( including Exede ) is, “Are there any hidden fees with Exede internet service?“. Let’s face it, none of us like getting “hidden fees” with any service we order. We want to pay the price that was quoted. I’m happy to say that what you are quoted when signing up is what you will pay for the duration of your commitment. The most popular plan we sign people up on is what they refer to as the “CLASSIC 10” plan. It allows for 10Gb of monthly data allowance – unlimited during 12 midnight to 5 AM – and runs $49.99 / month. We are upfront that you rent the equipment for an additional $9.99 per month ( you do have the option to buy the equipment outright if you want ). There will be an installation fee but we are happy to say Exede continually offers discounts on installation – all you need to do is call us at any given time and we will give you the current promotion! Finally, what you should be asking is.. does Exede work? It does! We have been in the computer and technology business for 15 years and satellite internet in the past was just.. bad. Living in Shelbyville, IN we have many rural customers that live in the country. We had never been satisfied with satellite internet such as Hughesnet and the previous Wildblue service before now. We wouldn’t suggest either to our customers.. that was until we saw Exede/Wildblue’s new satellite internet that launched in 2011. Exede launching that new satellite changed everything! Now when our customers, just like you, ask what rural internet service they should get – we say Exede. It’s a great product and great service! I’m sure most of us have seen on the news or read online about Microsoft no longer supporting Windows XP after April 8th, 2014. What exactly does this mean to you? Will your computer stop working? Are you vulnerable to getting malware and virus infections? Read on.. It can be pretty scary as a user to hear that your computer has reached its ‘end of life’ or ‘no longer supported’. Don’t get too worried though, your computer isn’t going to just stop working suddenly. There are a few things however that should be mentioned. Both your personal and business computers will be more susceptible to getting hacked. I don’t like using that word since many consider it a scare tactic; but I want you to be informed. Previously, you could turn on automatic updates and to download and install security updates as they were released. As of April 8th no more Windows updates are security patches will be created. This means that as hackers find more vulnerabilities in Windows XP – they won’t be patched. These security holes will be left wide open for anyone with bad intentions to get into your computer. Many computer companies would recommend Microsoft Security Essentials for anti-virus, including us. Unfortunately with Microsoft ending support for Windows XP, this also means support for MSE running on Windows XP. There are numerous other antivirus programs available ranging, both free and paid. If you are still running Windows XP after April 8th, you might consider downloading Avast Home Edition. Avast is free for home use and does a decent job protecting you. Those words can be a bit scary, can’t they? As of April 8th Microsoft will no longer offer technical support or assistance for Windows XP. What happens when you need technical support? Well, you can’t call Microsoft anymore. You can call a national computer support company or your local computer shop. Good news is that here at Mach1 PC, phone advice is always free. Give us a call at 317-398-3572 – we would love to help you! Moving forward with the knowledge you just gained, it may be time to make a decision. If you are concerned about security, then we wouldn’t suggest continuing using Windows XP after April 8th. Your computer isn’t going to just stop working, but support from national companies will be limited. If you decide to continue using Windows XP even though there will be security issues, we are here to support you. Want to look at upgrading or replacing your computer because of the security threats? We can help with that too. Can My Computer Get Infected from Facebook Games? Written by: Vinny Polston; IT manager of Mach1 PC, LLC. The other day we had a customer drop off their computer that was severely infected; worried about being without her computer. We’ll call her Jane. Jane is retired and when she isn’t playing with her grand children, she is playing Farmville. Jane was concerned because she wasn’t going to be able to maintain her virtual farm. Going through withdrawals from Farmville is no joke -online games are addicting! Long story short, we had to wipe and reload her computer and it’s working perfect now! She picked up her computer and asked the question, “Can my computer get infected from Facebook games?”. Great question! Good news is that you cannot get infected directly from Facebook games. According to about.com, Facebook has 500 million accounts with half of those being active daily. That’s 250 MILLION people logging onto Facebook each day. Crazy! Good news is with Facebook being such an authority website, the chances of you getting an infection are slim to none. However.. The content on Facebook apps, games, & pages aren’t necessarily safe. Will you get an infection directly from a page on Facebook, most likely not. Can you get an infection from clicking on one of those pages and visiting another site? Absolutely. The story doesn’t end there though. Chances are that you may have search for ‘cheats’ or ‘tips’ for your favorite Facebook game.. be careful. You see what happens when you search for ‘Farmville cheats’ on Google and start visiting websites you are very vulnerable to getting infected. Online perpetrators are waiting for you to visit their website, that is purposefully infested with malware, to infect your computer. Be careful whenever you spot something that says, click here to download cheats for ‘insert game name’. You don’t need to be downloading ‘cheats’. If there are legitimate tips online for a game it should be able to be read on their website and not via download. These types of downloads are almost always an infection. You may get malware, or even spyware from visiting certain websites. You can read our article about the difference between malware and virus to see the difference. Regardless of the type of malware, it can cause your computer to run slow and crash. Have you already clicked on something that got your computer infected? You might need to have your desktop or laptop checked out. Good news is that we charge absolutely nothing for diagnostics; whereas nearly every other computer store you find will charge anywhere from $25 – $75 for diagnostics. We’ve been doing this for 15 years and always glad to take a free look. Just drop off your computer and we’ll get everything working great in no time!